Chinese New Year has always been one of my favourite times of year. For many years I worked closely with the Chinese community, and spent many an evening enjoying some fantastic Chinese delicacies both in Australia and in China. So when I was asked to try out the CNY menu at San Qi restaurant (at the Four Seasons in Mumbai), I jumped at the chance. 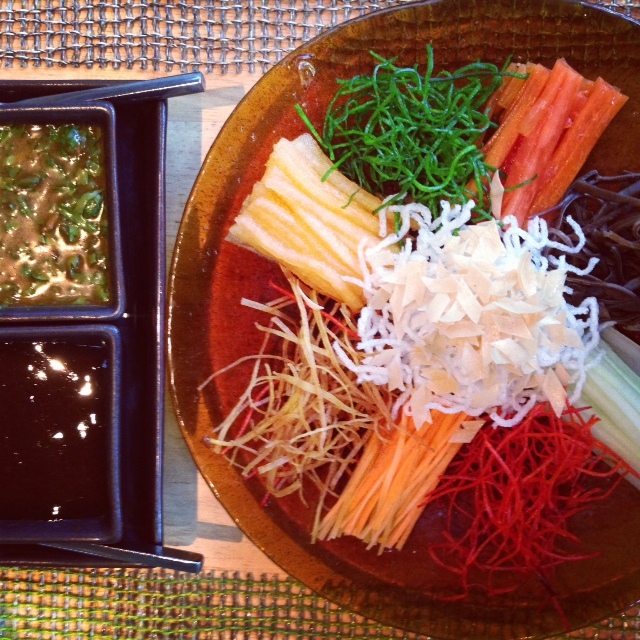 The menu starts with a Yee Sang Salad that can be prepared as either vegetarian or non-vegetarian, we chose the vegetarian option. Despite years of eating Chinese food, I had never had a salad like this before. The Chef advised that it was a traditional dish from southern Chinese. Families enjoy a shared plate, selecting the ingredients and sauces they want, then mix it all up to their own taste. The salad was light, fresh and crunchy. With a mix of crispy rice, finely prepared crunchy root vegetables, papaya and mushrooms and carrots, served with a sweet and a savoury sauce. Mixed together it was a delightful blend of crunch, sweet, spicy and salty, without being too heavy. For the main I ordered the steamed king prawn with glass noodles and fresh garlic. While only one prawn was served, it was the hugest one I have ever seen and steamed to perfection. The flesh was sweet, and melted in my mouth. Covered with fresh garlic and light splash of soya, the flavours were subtle and delectable. This is a dish I could happily have again and again. Hopefully it will become a regular on the San Qi menu. My colleague ordered the deep-fried chicken with lemon sauce. Lemon chicken has long been a staple on local Chinese take away menus in Australia, and my memories of this dish were of something greasy battered and soggy. Thankfully this rendition didn’t resemble my that, but at Rs 1,775 a serve it failed to live up to my expectations. The chicken was crumbed and fried, and while it was cooked well, it was rather bland. 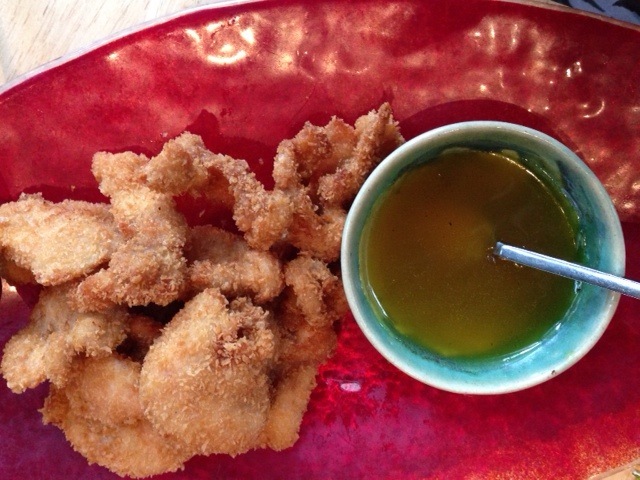 The lemon sauce was a reasonable blend of sweet and sour, and worked well with the crispy fried chicken. Given the celebratory nature of the menu though I would expect something more to lift the dish and bring it on par with the prawn dish and the occasion. We shared some wok fried tofu with mushroom, broccoli and chilli bean sauce. This was a lovely vegetarian dish. 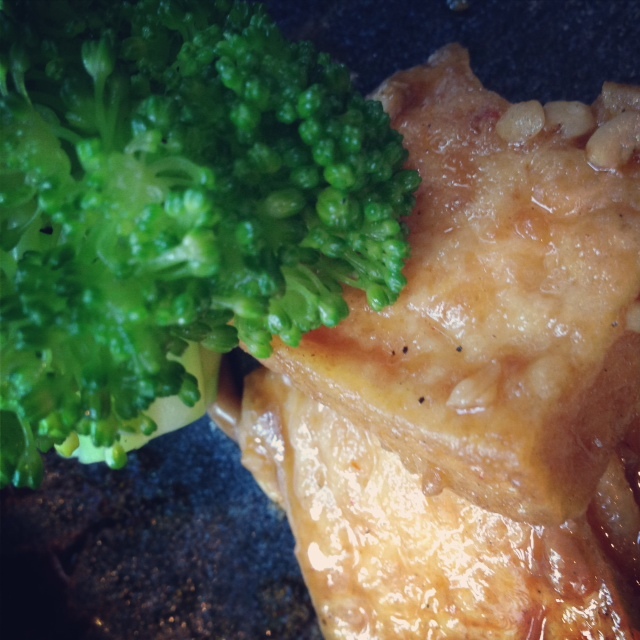 The tofu was silky and melted in my mouth, mushrooms were delicate and the broccoli was perfectly steamed and crunchy. The sauce had a depth of flavour from the beans and just a hint of chilli. It was a great way to end the meal. Overall, I felt the menu was a good reflection of traditional Chinese dishes, authentically prepared. 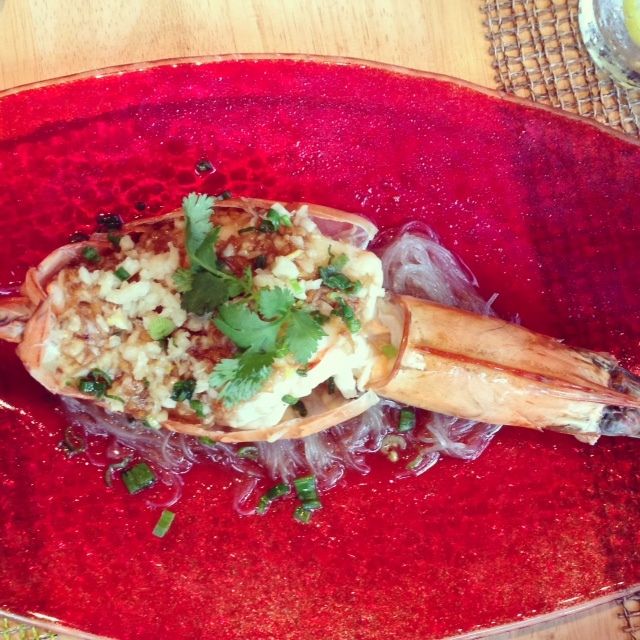 The highlight for me was certainly the salad and the King Prawn, which of itself is worth going to try. There were a few other dishes that I didn’t sample that may be worth having instead of the chicken including a braised eggplant with potato and pepper or a tenderloin with asparagus and crispy dough stick. For those who like their Chinese the way it is meant to be (as opposed to the ubiquitous Indian Chinese variation), then this CNY menu may be just to your tasting. While it certainly isn’t cheap (vegetarian mains are Rs995 and non-vegetarian mains Rs1,775), the year of the horse does only come around once every 12 years. It is called Yusheng in Singapore. Origin – believed to be the Chinese community of Malaysia / Singapore. Lovely, light & so harmonious as it is shared. Considered a symbol of abundance, prosperity and vigor. Thanks for that description. I have to try this the next time I am in Singapore. Yum!